Crackdown: Big City Blues follows community activists as they battle drug dealers for the soul of their neighborhood. Unseen for more than three decades, the New York-lensed independent crime drama Crackdown: Big City Blues has made its debut on Blu-ray from The Film Detective. The film, about community activists battling drug dealers for the soul of their neighborhood, was produced during the height of the crack epidemic in the early 1990s, which provided a documentary-style atmosphere of authenticity. Distribution problems prevented Crackdown from being seen by audiences in the United States, but the discovery of a rare 35mm print by producer Frazier Prince led to its restoration and home video release by The Film Detective. For Prince, the revival of Crackdown also provides him with a new opportunity to “get the message out and talk to people” about the perils of the drug trade. 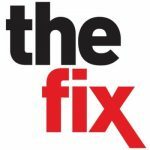 In a conversation with The Fix, Prince – a former actor and New York Police Department veteran who also served as a technical advisor for America’s Most Wanted – recalls that Crackdown began as a series of conversations with his former partner, writer/producer/director Paul DeSilva, while driving across the Brooklyn Bridge. “We would go back to his house, and we would sketch out ideas, and I would provide technical advice,” says Prince, who also served as the film’s producer. After crafting a script and raising a “shoestring” budget of approximately $200,000 from local investors, DeSilva and Prince cast the film with a mix of name and local talent, including Rhonda Ross Kendrick – daughter of Diana Ross and Motown founder Berry Gordy – and character actors Stu “Large” Riley (Gotham) and Apache Ramos (The Warriors) and “called in a lot of favors,” according to Prince, to complete the film. DeSilva and Prince found a distributor to handle the film’s release but discovered that the company “worked in mainly foreign markets” and sold the picture to a few territories before essentially shelving it. DeSilva attempted to regain the rights to the film, but he died before the six-year lease had run out. Crackdown would enter a state of limbo for decades until DeSilva’s brother contacted Prince after discovering a 35mm print of Crackdown – one of only two in existence – in a closet. Film Detective founder Philip Hopkins expressed an interest in spearheading a restoration, which resulted in the new Blu-ray as well as several screenings across the country. A portion of ticket and home video sales benefit two non-profits – the Bronx chapter of the civil rights organization National Action Network and the drug and alcohol recovery network Phoenix House. What are Evidence-Based Approaches to Addiction Treatment?